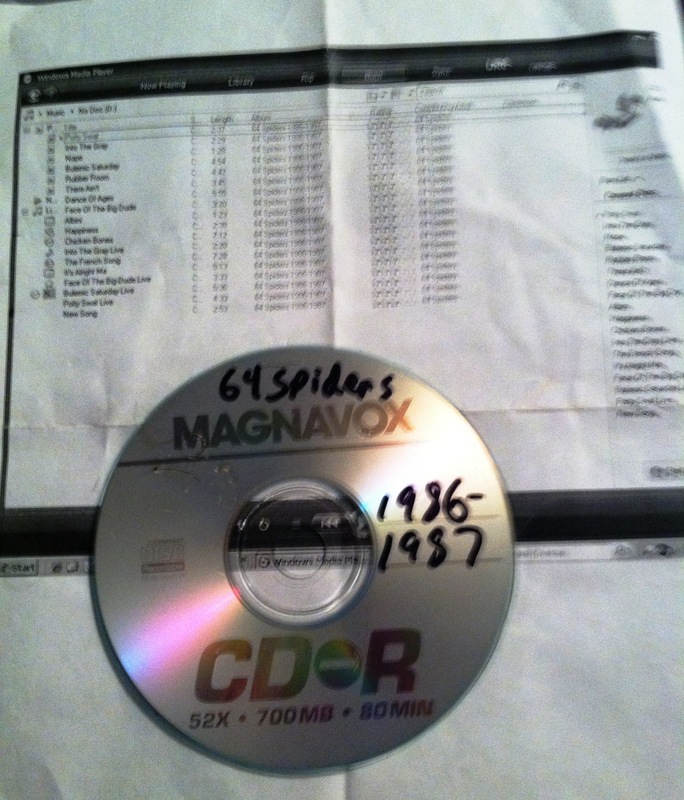 64 Spiders! (From James Burdyshaw.) Track listing is too blurry to make out, I know. My fave song from this collection: “Potty Swat.” If you listen to this one (or “Rubber Room” for that matter), how can you not identify it as grunge. Hi, any way to get this on mp3 ? Give me your email. I’ll ask Burdyshaw.